You can find of the best bars in Missouri here. These are places where you can bring your friends to have a great time. You can make new friends here too because people are very socialble. Browse through our guide of Best Bars in Missouri to find a place to bring you and your friends! Visit the Denim and Diamonds bar in Kansas City, MO and you can be sure to spend a great night listening to amazing music. The bar was founded 20 years ago and has gained popularity all over Kansas City. Denim and Diamonds can be easily reached as it is located only minutes away from downtown, and the staff is friendly and ready to tend to your every request. A smoking area is available outside the location. If you are visiting St. Peters in Missouri, make sure to check out the Electric Cowboy bar. The bar features live country music every night as well as live concerts, and a DJ plays every night. The bar includes a large dance floor and happy hours are offered weekly. Electric Cowboy does not only play country music but also the latest radio hits and features pool tables and a ladies night once a week. 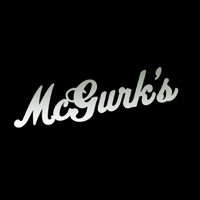 John D. McGurk’s Irish Pub and Garden in Saint Louis, MO was established in 1978. In 2011 this Irish pub was named the best in town. You'll enjoy Irish music, drinks and food, either inside or outside in the garden. The whole surface of this pub is nearly 20,000 square feet and the music is played live, by various entertainers. The pub is open Monday through Saturday from 11 AM till 1:30AM and on Sunday only between 3 PM and 12 AM. 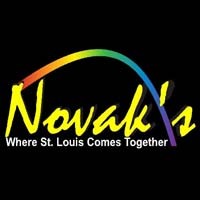 Visit Novak's bar in St Louis, MO for a very fun night out with your friends. The popular bar was established in 1996 and was originally a gay friendly sports bar. Nowadays Novak's Bar and Grill is a well-known hang out place for the gay and transgender community, as well as people who want to enjoy good music and drinks. The bar is located in an over a 7000 sq ft area and includes a luxurious patio. 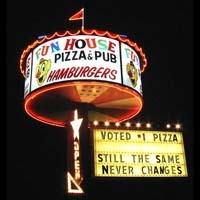 Fun House Pizza and Pub is a bar and pub in Independence, MO. The pub serves the best pizza in town accompanied by great live music and a friendly atmosphere. Fun House Pizza and Pub also serves alcoholic drinks like wine and beers and includes a TV where you can watch the streaming sport events. The bar offers great deals on special nights and various discounts for large groups of people. You can eat, listen to music and have fun every day of the week. If you want to visit one of the best bars in MO stop by O'Malley's Pub in St Weston. The bar plays live music and features a large dance floor, while the atmosphere is casual, friendly but vibrant. O'Malley's Pub is an Irish pub with special events taking place every night during both summer and winter. The bar is open daily from 5pm and until late hours of the night with a longer schedule on weekends. Van Goghz Martini Bar & Bistro in downtown St Louis, MO is a good place to hang out with your friends while enjoying a drink. The famous bar is located in an accessible area on Shenandoah Avenue and features specials and events almost any day of the week. On Thursdays, city residents can enjoy 10% off any drink or dish, while dinner specials are available every day of the week with happy hour on weekends. Take a trip to Growler's Bar and Pub, a great place in St Louis where you can visit alone, or with your friends and family. The bar features professional and friendly waiters and many specials you can take advantage of. Growler's Bar and Pub is ideal for any kind of event like birthday parties, meetings or graduation parties. The bar is open from Monday to Thursday starting at 11 am and up until 1 am and longer on weekends. If you're thinking about the best dance clubs and bars in Missouri, Upstairs Lounge in St Louis will bring you everything you need. With a large dance floor and the latest trance and radio hits always playing, the bar must be visited when you're in town. Upstairs Lounge offers affordable drinks and all the fun with live DJs and good food every night of the week. Food is served up until 2 AM for prices starting with $5. 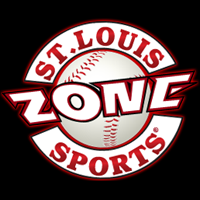 If you love sports bars you will definitely enjoy visiting St Louis Sports Zone in St Louis, MO. You can eat, dance and watch the latest sport events on the big TV screens while having fun with your friends. The bar is known to all sport fans and features a varied menu and good music. Sports Zone has a friendly atmosphere and you will easily feel at home. Smokers can take advantage of the smoking patio outside. 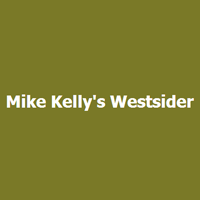 Great music, delicious food and awesome drinks go hand in hand in Mike Kelly's Westsider in Kansas City, Missouri. Mike Kelly's has been in the business for almost 5 years. Aside from serving the best food and drinks, the live entertainment is also exceptional. It is the perfect place for friends and families to get together. Mike is open Monday - Saturday from 11am - 1am. If you are looking for the best bars in MO, you definitely need to stop by here! A mixture of a little country and rock music is always a good combination. 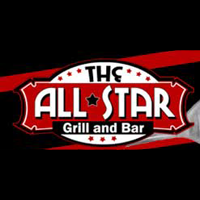 Add a sports bar and a restaurant which serves some of the best food in Missouri, you will never be left wanting more because there is only one answer to all your needs and that is the All Star Grill and Bar. With years of experience and the friendliest staff, you will surely go home with a smile. The bar offers a wide array of entertainment and is open Monday - Sunday from 11am - 11:45pm. 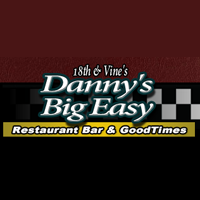 A bar which does not run out of interesting and exciting events, Danny's Big Easy has always been a favorite of locals and if you are visiting the city of Kansas City. It is more than worth your while to go here and order their delicious food while enjoying the live entertainment. Danny's Big Easy is available for bookings online and is open on Sunday 1pm - 9pm; Tuesday 11am - 11pm; Wednesday 11am - 4pm; Thursday 11am - 12am; Friday 11am - 2am and Saturday 1pm - 2am.